Corporate Social Responsibility - Farmaceutica REMEDIA S.A. The constant development of our company and its position on the pharmaceutical market are organically tied to the people we are working with: employees, clients, business partners. For Farmaceutica REMEDIA S.A., corporate social responsibility is a long term commitment and means more than a charity gesture. 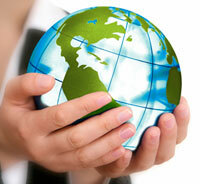 Social responsibility is involvement in sustainable projects and partnerships. In this respect, Farmaceutica REMEDIA S.A. has been developing an extensive social responsibility program, actively focused on several directions.